Mirage IIIC belonging to Fighter Squadron EC 2/10 Seine was firstly introduced at 13th Fighter Wing where it flew as 13-PJ with Squadron 2/13 Alpes which, when receiving Mirage IIIEs passed it to the Dijon based 2nd Fighter Wing where it became 2-EL with the glorious Fighter Squadron EC 1/2 "Cigognes" (storks). 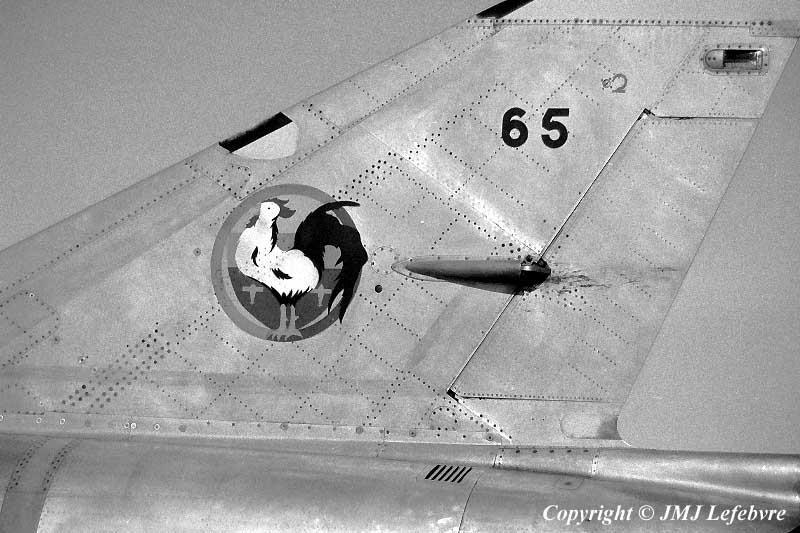 Then, after 1/2 got Mirage IIIEs, this machine went to Creil with the 10th Fighter Wing and flew as 10-RC, 10-RQ, 10 SI and 10-RO. With a second picture of this tail, I add a short notice on the story of EC 2/10.